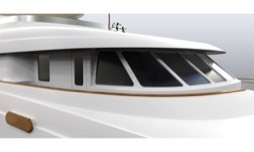 3D modeling and rendering of bridge wing, nameboard, and sun deck dodger. 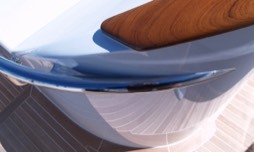 Sculptural blending of stainless and teak wood rails. 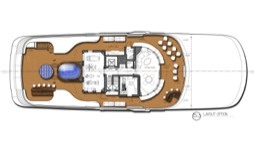 2D proposal of a sun deck refit for a 237' motoryacht. 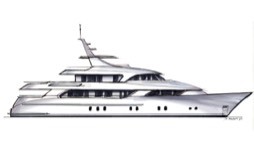 2D proposal sketch for a 45m motoryacht. 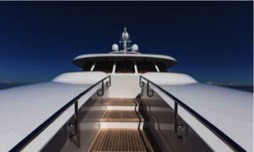 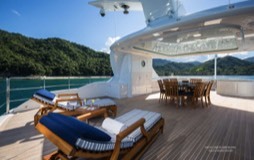 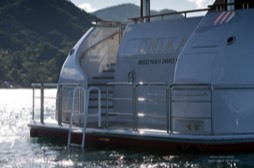 Sun deck design, detailing & modeling. 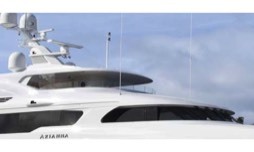 A sketch rendering from a 3D Rhino file of a hull and superstructure. 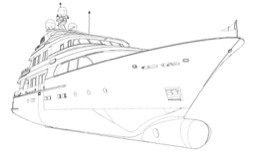 Preliminary profile concept of a 180' (55m) for a world-cruising motoryacht. 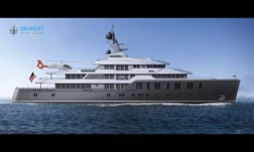 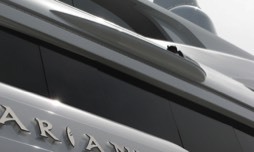 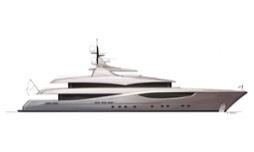 Proposal for a 68m motoryacht.